It’s Sunday again and you know what that means! Ice Cream Sunday Smiles, or in this case, Ice Cream Sunday face stuffing. This weekend, as we see milder temps,why not get out there and stuff your face full of some ice cream. You deserve it! 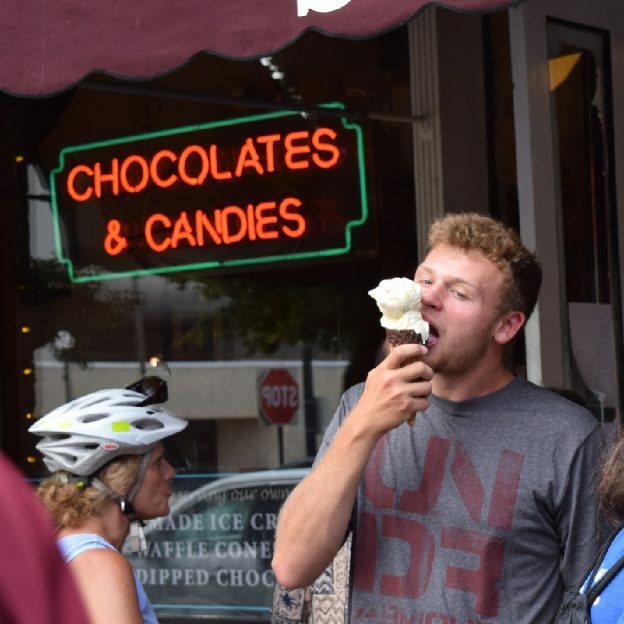 This entry was posted in News, Picture of the Day and tagged #icecream, #icecreamofinsta, #icecreamofinstagram, #icecreamsmiles, #mnbikeguide, #nextadventure, #nextbikeadventure, #onlyinMN, #picofday, #picoftheday, #sundayfunday, #sundaysmiles, Bike Guide Minnesota, Bike Guide MN, Ice cream smiles, Minnesota Bike Guide, MN Bike Guide on February 12, 2017 by Stephanie Hunt.